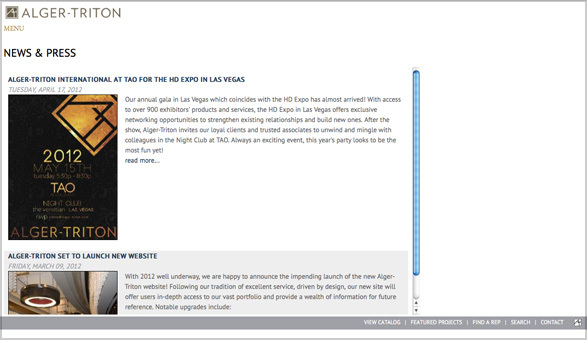 Following the release of the print catalog, a complete redesign of the A-T website was implemented. 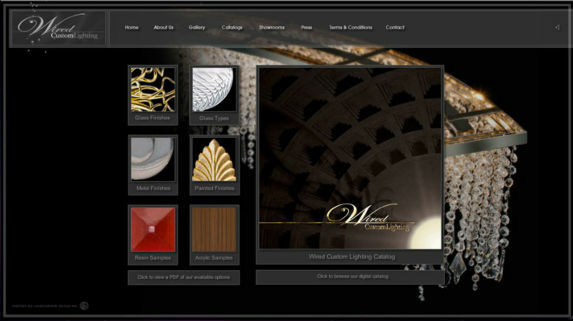 With a focus on stunning installation images to showcase the work, an automated image slider engulfs the page. An animated pull-down menu (underneath the logo) offers navigational choices without obstructing the imagery. 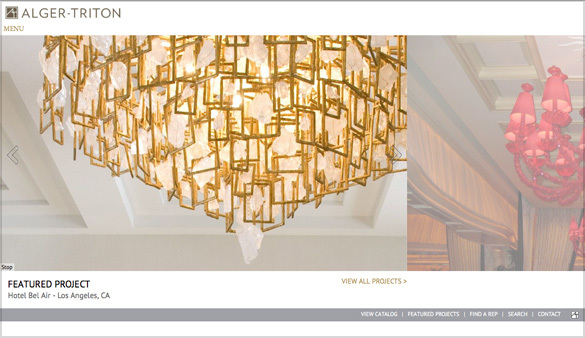 The strength of the company lies in its 30 years of history building custom lighting creations for a vast portfolio of luxury properties. 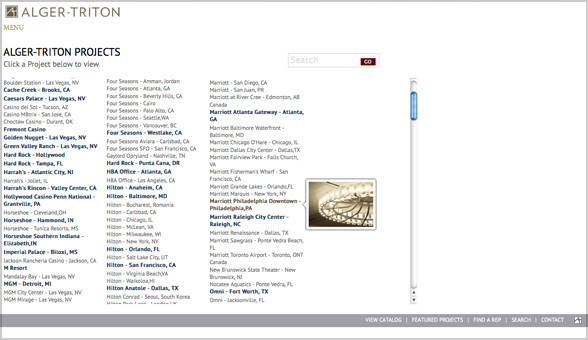 To help viewers navigate the hundreds of locations, a search function was built into the site allowing users to locate specific projects based on location, designer, materials used, etc. 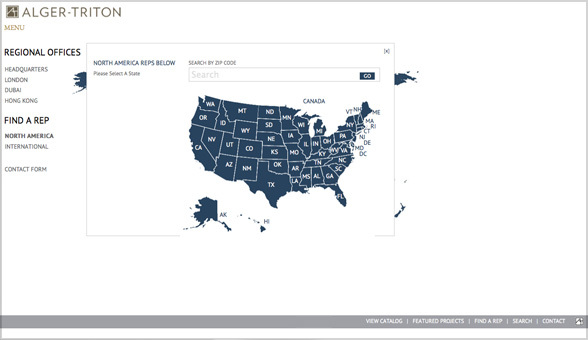 A global and regional map was built to direct clients to the nearest sales representative. A press page keeps clients informed about the company through recent news and editorials in a variety of industry publications. Linking to outside news sources will allow for better cross-referencing to increase our SEO. For the launch of their 2008 catalog, Wired needed to update their website. Working with LiquidChrome Design, a new page was created to display the catalog as well as a variety of available custom finishes. To stand out from competitors websites we concentrated on a more graphic approach that easily directed the user to the most important information in the least number of steps. 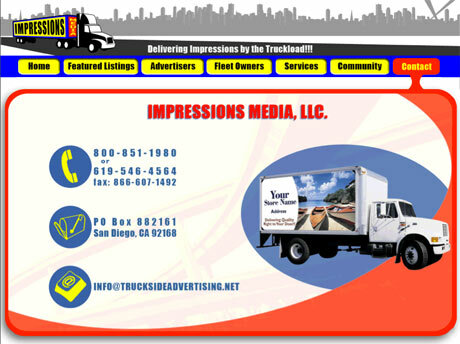 The visual impact of the composition and palette was a direct metaphor to the mobile ads provided by Impressions Media.